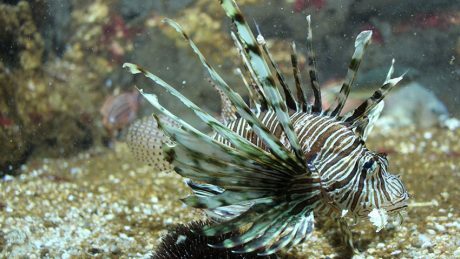 The allochthonous lion fish Pterois miles is exhibited for the first time in a Mediterranean public Aquarium, that of the Hydrobiological Station of Rhodes (HSR), Rhodes Isl., Greece. An alive individual was caught with trammel nets on January 2016 at the shallow waters of Faliraki coastal area by the professional fisherman Mr Savvas Vagianos. 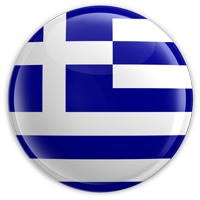 Scientists of HSR of the Hellenic Centre for Marine Research (HCMR) first reported the species from the Aegean Sea based on sightings in the coastal waters of Rhodes during the summer of 2015 with a publication in a scientific journal. This alien fish is commonly known as devil firefish and common lionfish (Gr. 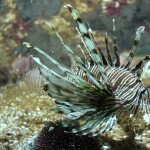 Λεοντόψαρο or λεονταρόψαρο) and it is a native species of the Red Sea introduced in the Mediterranean through the Suez Canal. As it shows a rapid expansion in the East Mediterranean it is considered an invasive fish. The long fin spines of this lionfish are highly venomous to the point of causing death to humans. As soon as its appearance in the waters of the island became known, HSR informed all professional and amateur fishermen, the relevant state authorities as well as the citizens of Dodecanese to pay special attention for the avoidance of any accidents.  All personnel of HSR wishes to thank the members of the “Waterhoppers” Diving School and Mr. Josef Makris for being so conscientious to notify the Station for the presence of the species, for providing relevant material and information and for their collaboration. «Hydrobiological Station of Rhodes» (H.S.R.) 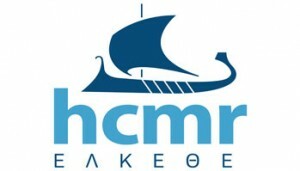 operates as an Aquarium-Museum and a research unit of the Hellenic Centre for Marine Research (H.C.M.R.). In its premises the research for the conservation of the environment is combined with educational activities for the benefit of scientific knowledge and its dissemination to the public. Since the 80’s H.S.R. is intensively focused to the rescue and protection of marine endangered species (included in the International Convention CITES, IUCN, EU) such as sea turtles, whales and the Mediterranean seal. 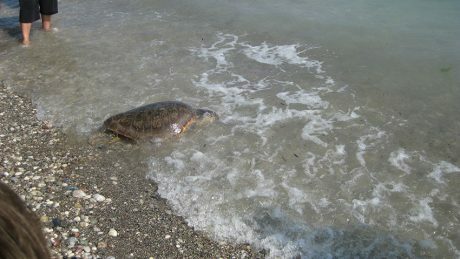 On December 2014 an alive female sea turtle Caretta caretta was trapped at the seaside village Plimmiri in Rhodes island and was transported from citizens to the H.S.R. There she was taken care by the scientific personnel of H.S.R. in collaboration with the Sea Turtle Protection Society of Greece ‘Archelon‘ and with a veterinary specialized to the rescue and care of sea turtles. On June 2015 the turtle – named «Cleopatra» – after six months of recovery was released to her natural environment. 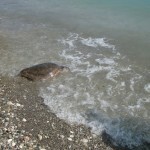 Moreover, about a year ago another turtle Caretta caretta –named «Laura»-was released after nine months of care at the H.S.R. The growing public awareness has resulted in an increase of reports of similar events to the Port authorities or to the H.S.R.